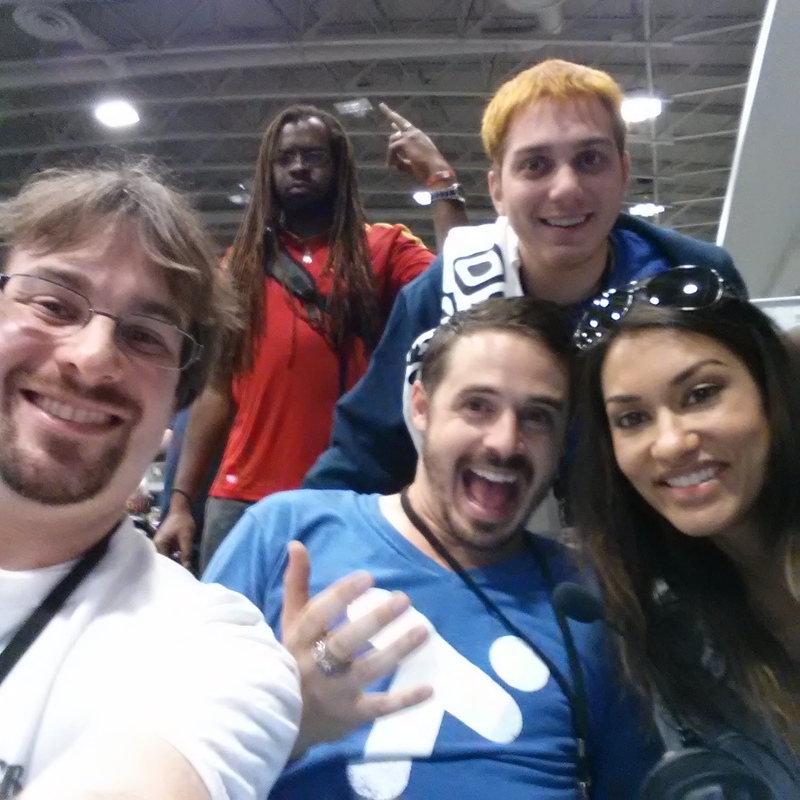 VGU-CON 2014 - The $44 Experience | Community. Reviews. Pwnage. I first heard about the Video Gamers United Conference (VGU-CON), on the radio one week before the event. 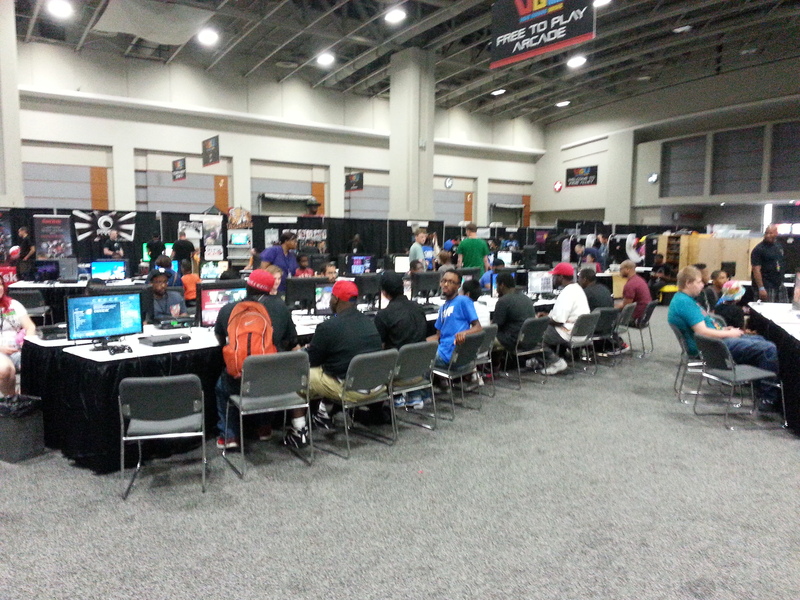 I thought, “Finally, a gaming event in DC!” Their website was basic, but professionally done and logical. The signed endorsement from DC Mayor Vincent Gray was an inviting touch. The website described tournaments for multiple games and platforms, from Call of Duty: Ghosts, to Madden, to Quake for the PC. Prize money was offered: up to $20,000 for some games. I was a bit disappointed that my favorites, Counter-Strike: Global Offensive or DOTA 2 were not offered as I would have preferred to watch these games than the others. I then checked out the schedule. 2 days, different tournaments on each, and different panels. Deciding both days were worth the trip, I went to look at ticket prices. WHOA! $40 PER day. I could get a slight discount if I went for both days. Did I really want to spend $80? I chose the day of the Call of Duty: Ghosts tournament, a Sunday. Though I wasn’t good enough to participate, I’d have fun watching someone win the $20,000 grand prize. Entering the main convention hall, I was about to experience my second disappointment. I was prepared to be sandwiched between hundreds of bodies milling around and screaming as games were being played, won, and lost. Instead, I found myself in a huge cavern-like and practically empty room. The sponsors were there, three rows of booths … The games were there, set off from the booths, with old school arcade games, Playstations and XBoxes hooked up to small TVs. Nearby was also a single row of about 12 laptops for computer games. As the tournaments started at 11, I figured the crowds will come. I’m just a bit early. It’s Sunday. Everyone’s on their way or still in church. As nothing was happening yet, I walked around the sponsor’s booths, learning about their products and services. There were no lines at any of them. In fact several were empty, missing both materials and bodies. Two booths in particular stood out and impressed me. 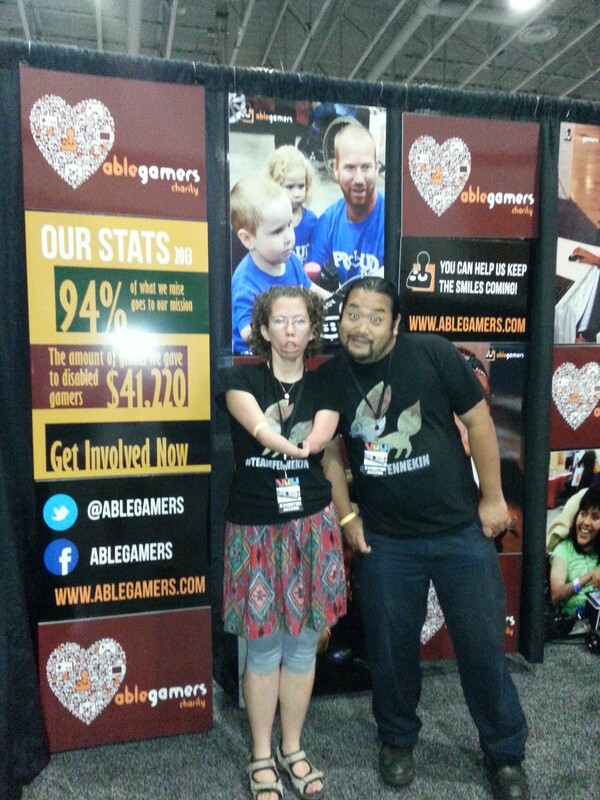 The Able Gamers Foundation, whose website notes they “aim to improve the overall quality of life for those with disabilities through the power of video games,” opened my eyes to a world beyond my narrow vision of what it meant to be a gamer. Not only do they provide a community for people with disabilities to “talk about new and inventive ways to overcome the barriers of an accessible game,” but they also provide grants of assistive technology and work with game developers in making games more accessible. 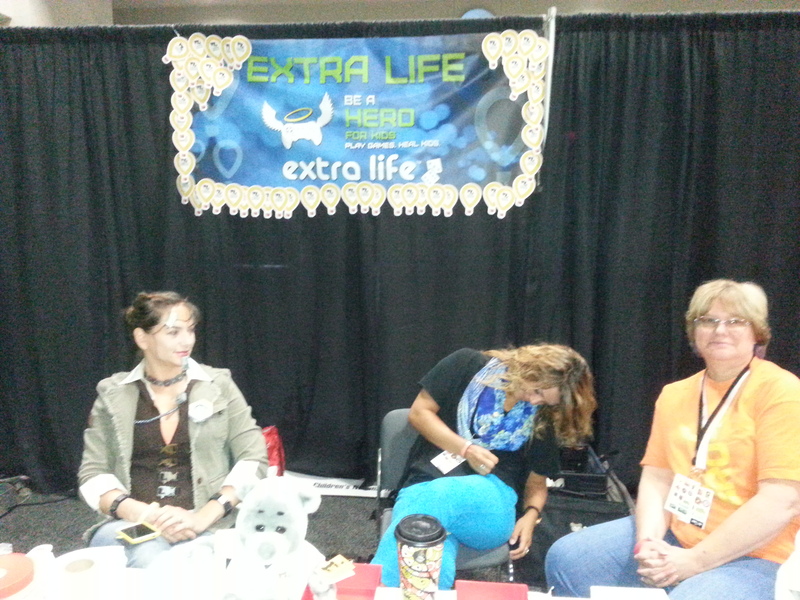 The Extra Life Organization raises money for a Children’s Miracle Network Hospital of your choice through a 24-hour marathon gaming event, similar to a walk-a-thon. Money is raised individually with promises by sponsors, and 100% of the cash goes to the Network. The “marathon” will take place in October this year and I might just participate. By 10:30, I had walked through every booth (those that were ready for patrons) and wasn’t quite sure what I should do next. The crowds were still thin, there wasn’t any point in watching two or three people independently play a non-competitive game. 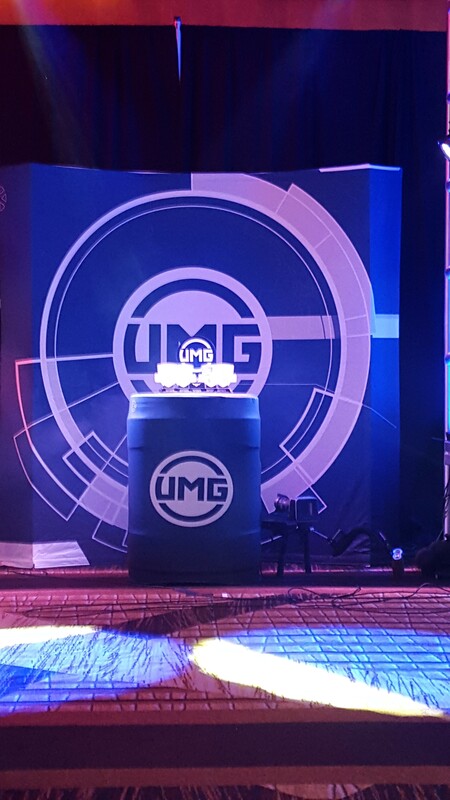 As it got closer to 11 I moved towards where they were going to host the $20,000 Call of Duty: Ghosts tournament. There I found disappointment No. 3. The low turnout stayed low as the minutes ticked by. 11am came and went, and there were still only about 12 people in the area, which included a few spectators and loved ones. Seriously hoping I had accidentally staged myself at the wrong tournament I double checked with the event staff. No, I was at the right place. To make matters worse, the event staff began to suggest that the $20,000 grand prize was being heavily reduced but without knowing by exactly how much (later I found it was reduced to $1,000). Well this is a total bust I thought. If the tournaments were not going to be exciting, why am I going to stay at the convention until 6pm? I walked away disappointed and annoyed, and looked at the event schedule to see what else would be worth my time. The Serious Gaming Panel was starting at noon, so I waited around for that to start. A friendly staff member assisted me in finding the room which wasn’t on the main event floor. When I entered I found another surprise. This panel was serious. It wasn’t, as the name implied, professional gamers talking about the serious nature of their professional lives, but programmers talking about coding and tailoring games to audiences. ARGH! I left after 5 minutes, this wasn’t worth my time either. What’s next I thought? The “tournaments” were supposed to go all day until 6 but clearly that wasn’t going to happen. The serious gaming panel is actually serious. I really hope this “Celebrity Gaming Challenge” from 1-3pm on the schedule is interesting and exciting. I walked back to the main hall from the serious gaming panel and towards the “Celebrity Gaming” area. The area was elevated above the normal floor and was guarded by a few staff members making you know only VIPs were allowed up on stage. From the ground I could see a number of TVs and couches hooked up to consoles and a number of people milling about and eating the catered food brought in for these VIPs. So, now I wondered how does one actually get to participate in this Celebrity Gaming Challenge? Well, you could have paid more and bought special tickets before the event started (I elected not to). VGU also held a raffle, and a $10 donation to the Children’s National Health System bought you a chance at the VIP room. Once there, you would be in a position to select who you’d want to play against (Janina Gavankar and Riley Smith from True Blood, LaserCorn who is famous on YouTube, Dante Basco and, potentially, Clinton Portis from the Washington Redskins or some Capitals hockey player). The gentleman at the raffle booth told me that the crowd was so thin today I’d have an excellent chance at being selected. “Great!” I thought, because if I wasn’t I’m leaving this place. I waited until around 1:30, and then I heard my name get called. So the gentleman was right after all. I went up on stage and they asked me who I’d like to play against. Clinton Portis was my first choice, but he was nowhere to be found. I have subsequently seen a photo of him at the event but during the 1-3pm Celebrity Gaming Challenge on Sunday he wasn’t there. Again annoyed and disappointed I told them to pick whoever they wanted to pair me with. The host selected Janina, who wasn’t busy at the moment and we sat down to play a game of Infamous. I don’t think either of us really cared about the outcome of the game, so we chatted back and forth while mashing buttons on the controllers. This was actually a good thing. It was my first extended interaction with someone of her stature and I was quite impressed by her conversational tone and willingness to talk with me. We played a few games and then I cycled in and out with other donors who had won the raffle. The host from Tiltify was livecasting on Twitch, which made for an exciting atmosphere as he remained animated throughout. I stayed on stage there until 3:30 hoping Clinton Portis would show up but he never did. While exciting, the allure of being with stars began to wear off after an hour, and my overall disappointment of the event began to weigh on me. This wasn’t what I expected. This wasn’t what I thought I paid for, and this wasn’t why I decided to spend my day away from my wife and kid. I thanked Janina for the conversation and playing with me, and I left for the metro hoping I could get home before it started to rain. 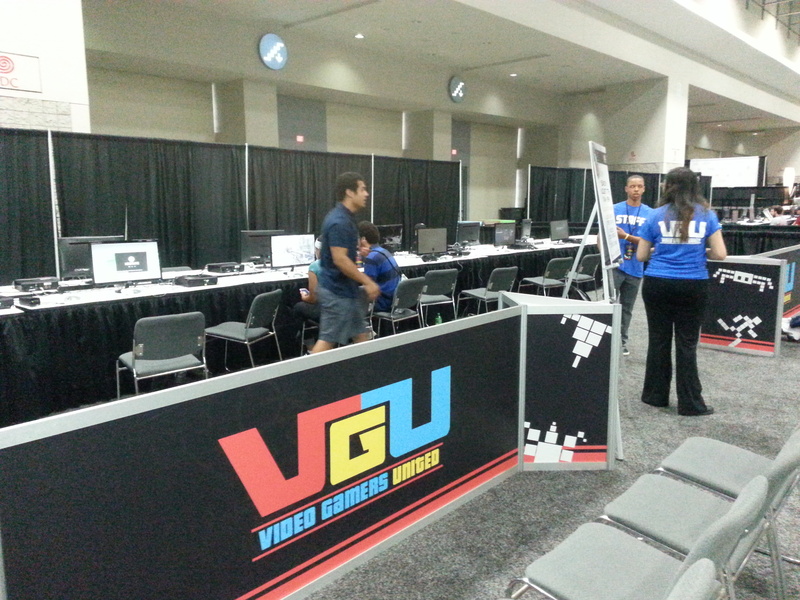 VGU-CON had promise, but it lacked the people (customers) required to make this event truly special. Gaming events are only great when the atmosphere is alive with energy combined with the tense feeling in tournaments when money is on the line. None of that was present here. I suspect poor advertising (like I said I only heard about it a week before and my friends didn’t at all) and high ticket prices led to the poor turnout. I am also highly critical of their small section to computer games, in particular omitting League of Legends that has an average of 100,000 viewers on Twitch at any given time (as compared to 3,000 for Call of Duty: Ghosts), and no real organization in that area. I look forward to VGU-CON’s event next year should they host one, but at the $40 price tag I’m going to think long and hard before I commit to going. If it’s anything like this year I’ll be wondering why I took a second leap of faith knowing the first was disappointing enough. 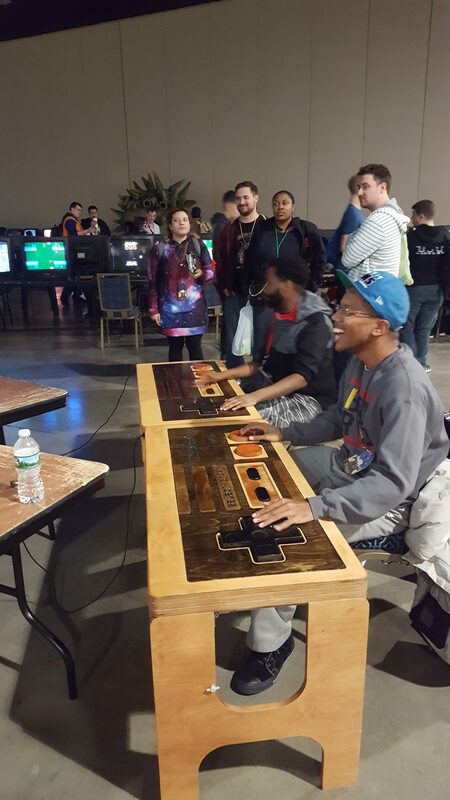 But until then, I’m looking forward to MagFest 8.5 in Alexandria, Virginia from 12-14 September. At $50 for 48 hours of straight gaming and entertainment, it can’t be any worse.